As a manager, we realize you may not want to allow employees to change their unavailability without notice to avoid staffing issues. In that case, you can enter the information for them. 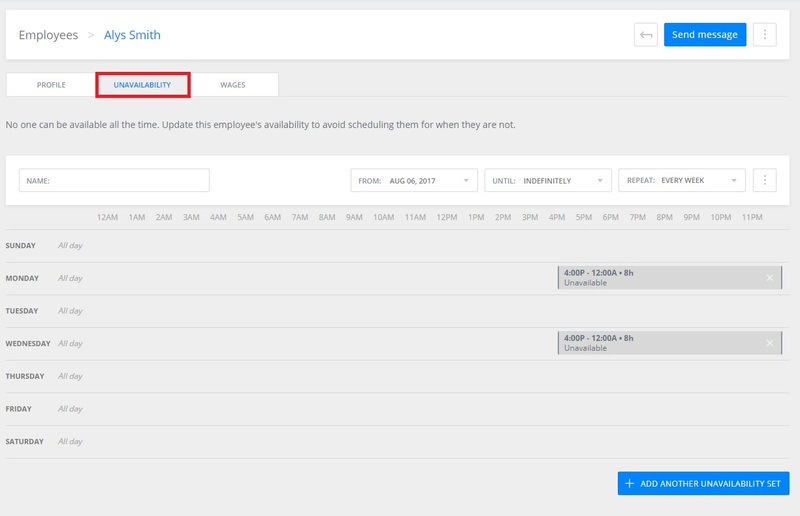 Go to Dashboard > Employees and choose an employee from the list. From their profile, click the Unavailability tab. Add their info or make any changes needed, and click the Save button at the bottom. If you need more info on entering unavailability, click here.